In many parts of the world, December is known as a time of joy and sharing, but in Nicaragua this joy is strengthened. The hubbub floods the Nicaraguans and with it the streets and skies. Throughout the month you can hear many songs, rockets, bombs and fireworks. This happiness and good wishes are reflected in the face of every Nicaraguan and it’s due to the many festivities that take place on this date, ranging from international traditions to local religious festivities, some even as important as Christmas. On this occasion we will be talking about a traditional celebration of the Catholic people with various peculiarities that make it unique in the world. This religious tradition is deeply rooted in Nicaraguan culture and is one of the most important and distinctive dates of the country. We are talking about “La Purísima”. You’ll hear that question over and over during December and you must respond “The conception of Mary!” This phrase describes the main celebration of the month and the patron saint of Nicaragua: “The Immaculate Conception of Mary” or “La Purísima Concepción de María” if we translate it in the Nicaraguan way. “La Purísima” is a Nicaraguan religious celebration of Catholic origin that takes place in December with special attention on December 7th when it’s celebrated “La Gritería” on the eve of the “Day of the Immaculate Conception of Mary” celebrated worldwide on December 8th. “The Immaculate Conception of Mary” is a dogma of Catholic faith (or belief) proclaimed on December 8th, 1854 by Pope Pio IX in the bull Ineffabilis Deus. This dogma declares that, by a special grace of God, unlike all other human beings, Mary was not reached by the original sin that we all bring for being descendants of Adam and Eve, on the contrary, she was free from all guilt from the first moment of her conception. This dogma is what Catholic celebrate during this important date. Its origin goes back to the year 1854 when the bull was proclaimed, nevertheless, in several countries like Spain it was already celebrated in 1644. 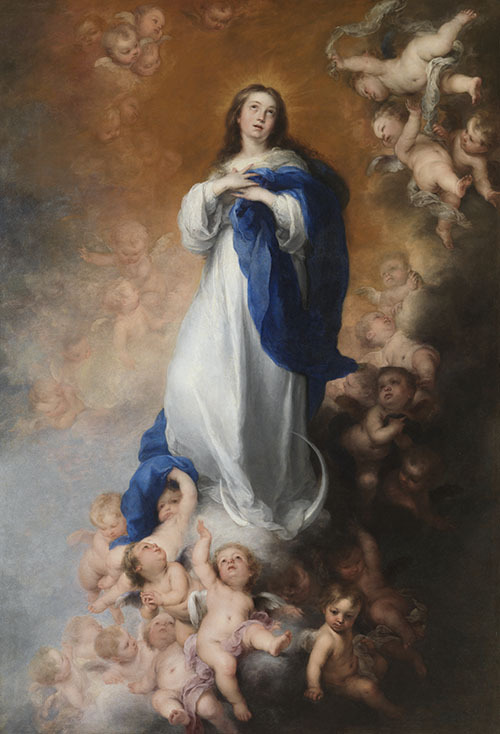 The Immaculate Conception is also the patron saint of other countries with a big catholic community as Portugal and Spain, and several countries of Central and South America. In Nicaragua the way of celebrating varies and extends throughout the month. “The day of the Immaculate Conception”: Celebrated worldwide on December 8th. National holiday in Nicaragua. 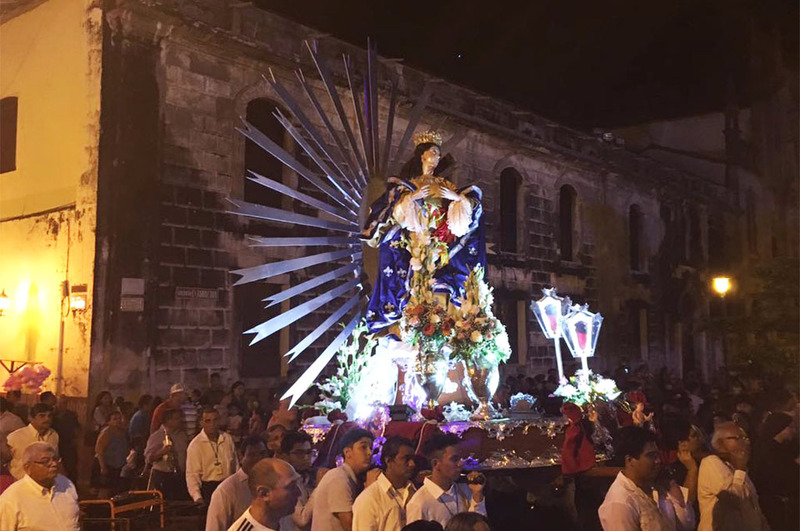 “La Purísima”: Celebrated in Nicaragua throughout December and its origin is attributed to the city of León in the XVIII Century by the colonial times. Read more. “La Gritería”: Celebrated in Nicaragua on December 7th and its origin is attributed to the city of León in 1857, when Monsignor Gordiano Carranza, from the San Felipe church, invited the people to raise altars house by house to celebrate the virgin. Read more. “La Gritería Chiquita“: Celebrated on August 14th in León. Read more. “La Lavada de la Plata”: Translated “Washing of the Silver”, is celebrated on December 6th in Chinandega and its origin also dates back to colonial times. Read more. Without a doubt, the Nicaraguan people have great love for the virgin Mary and visiting the country in these dates is a unique experience because of the love and joy feeling in each Nicaraguan by this time of celebration. Have you ever been here for any of these festivities? Tell us more and share your experience! And remember, from now on when someone asks you “Who causes so much joy?” You must respond with joyfulness: “The conception of Mary”.